Alice H. Chang is the CEO of Perfect Corp., the developer of the award-winning YouCam apps, where she leads the team in building the world’s top virtual beauty platform powered by AR, AI, and machine learning technologies. Chang is one of the first visionaries at the intersection of tech and beauty. Merging her extensive experience in technology with her passion for beauty, she developed a quick, efficient, and fun way to empower the consumer beauty journey through product discovery, makeup trials, social sharing and seamless purchase from any smart device. Chang’s vision came to life through the creation of Perfect Corp., a suite of AR beauty apps that includes the award-winning YouCam Makeup, YouCam Perfect, YouCam Nails, and YouCam Fun. 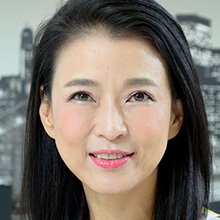 From 1997 to 2015, Chang was CEO of CyberLink Corp. where she propelled the company from a small startup to an award-winning global brand with rapid expansion.